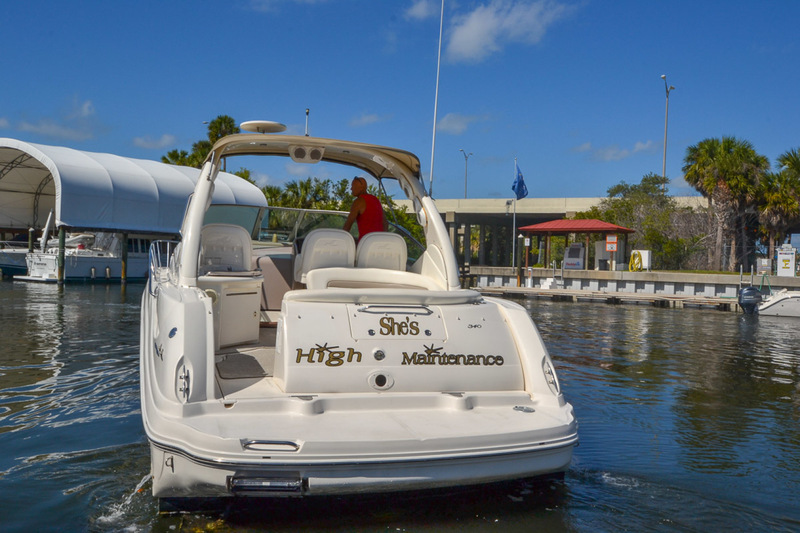 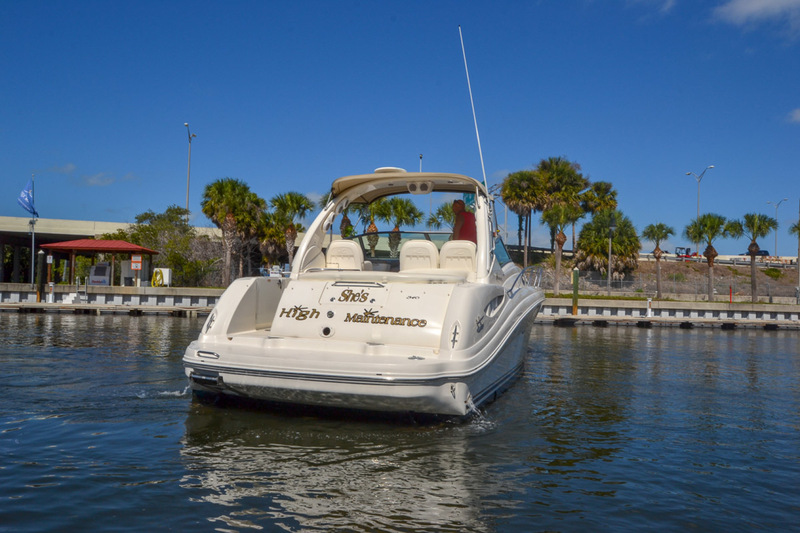 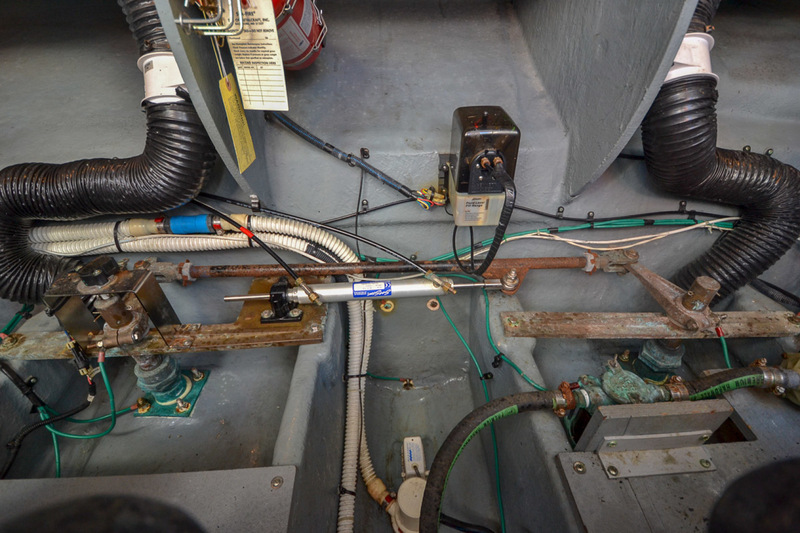 She's High Maintenance is a fine example of a freshwater boat transplanted to St Petersburg, FL in 2014. 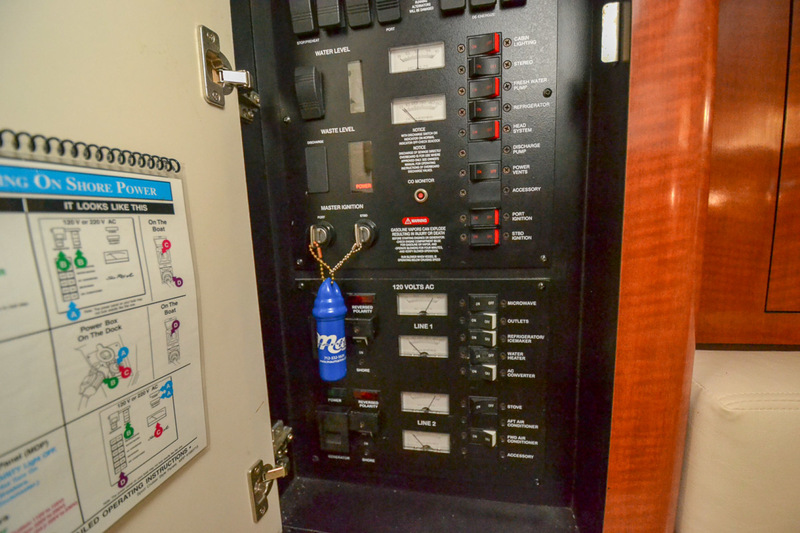 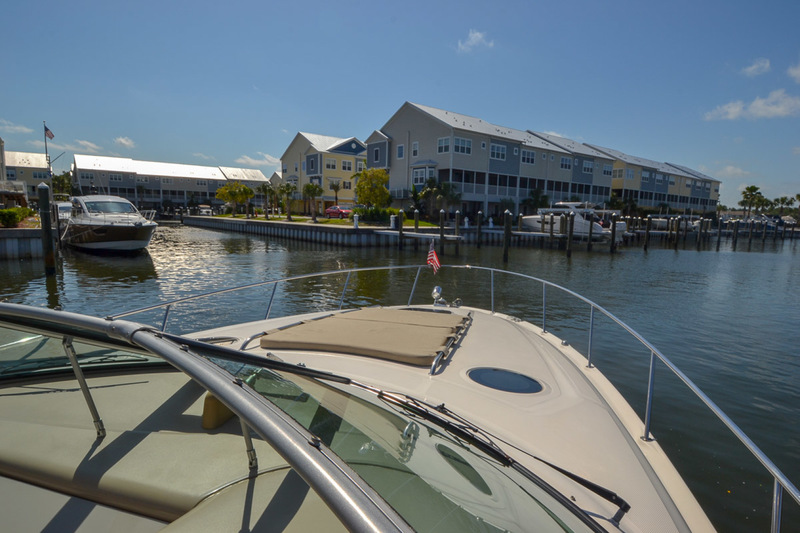 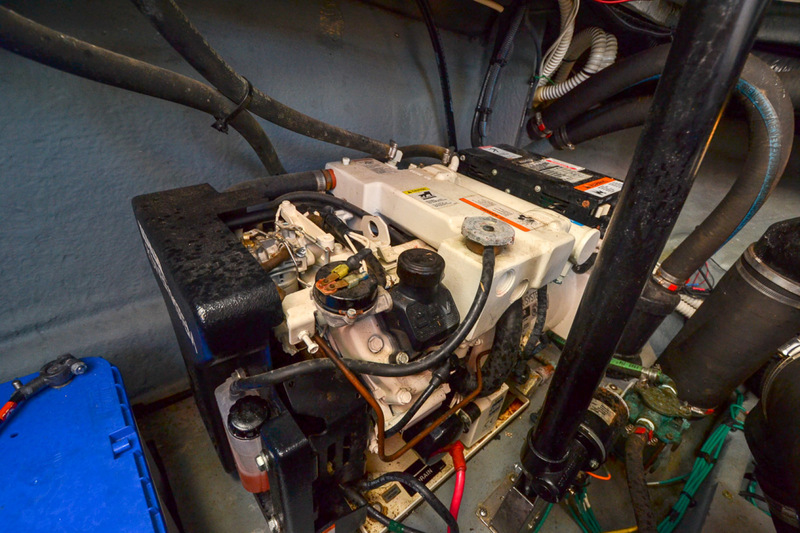 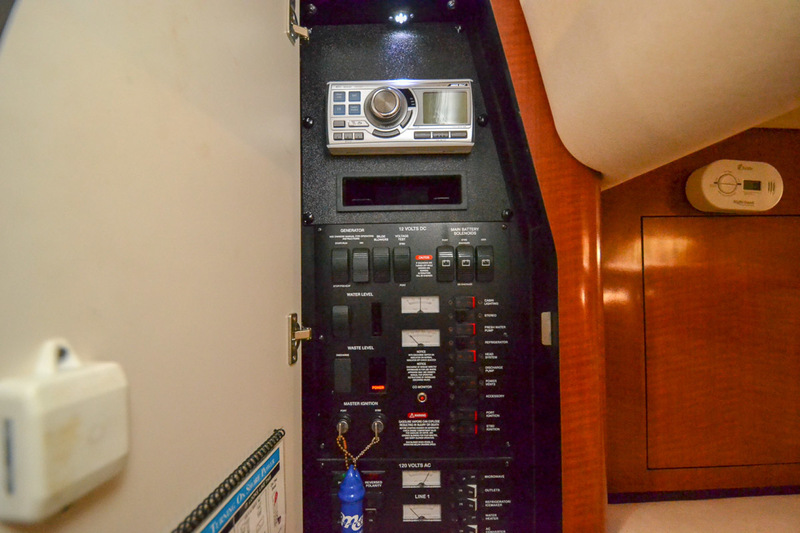 This well maintained 340 Sundancer shows like a much newer vessel. 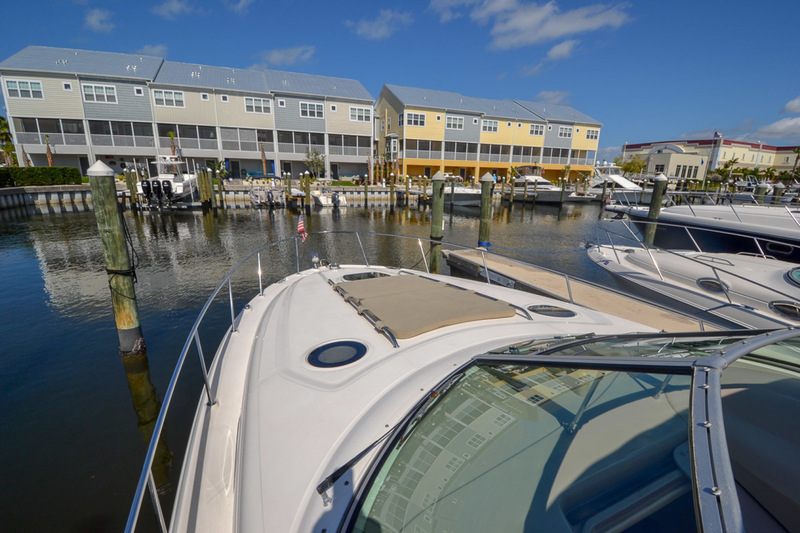 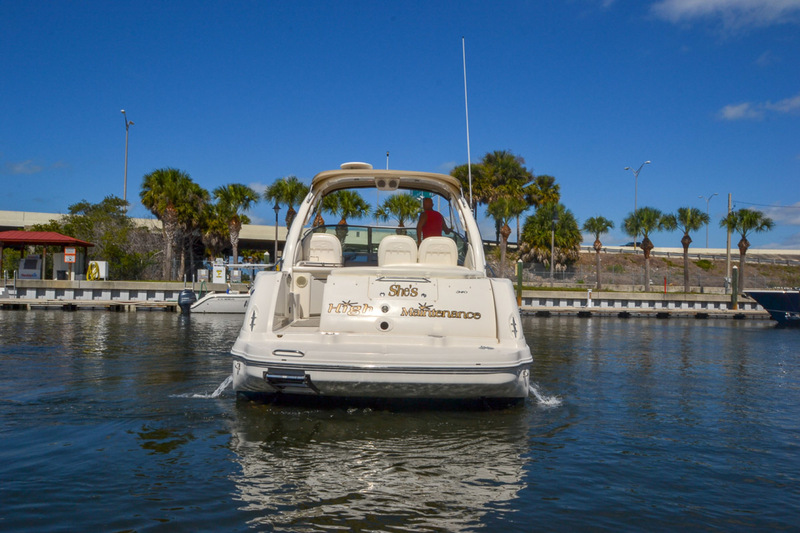 From the moment you board this cruiser you will see the pride of ownership. 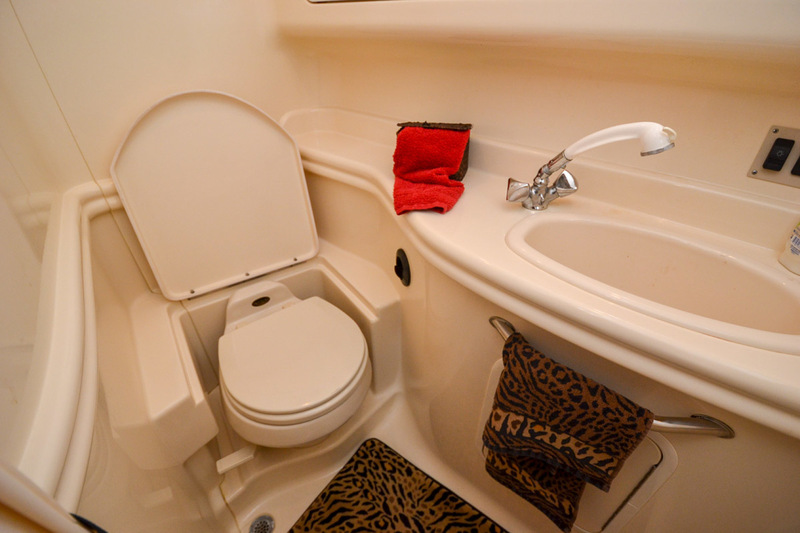 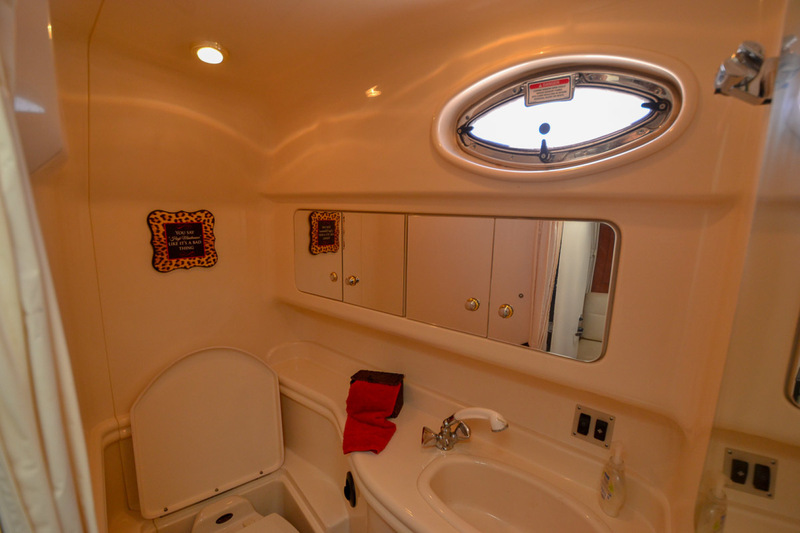 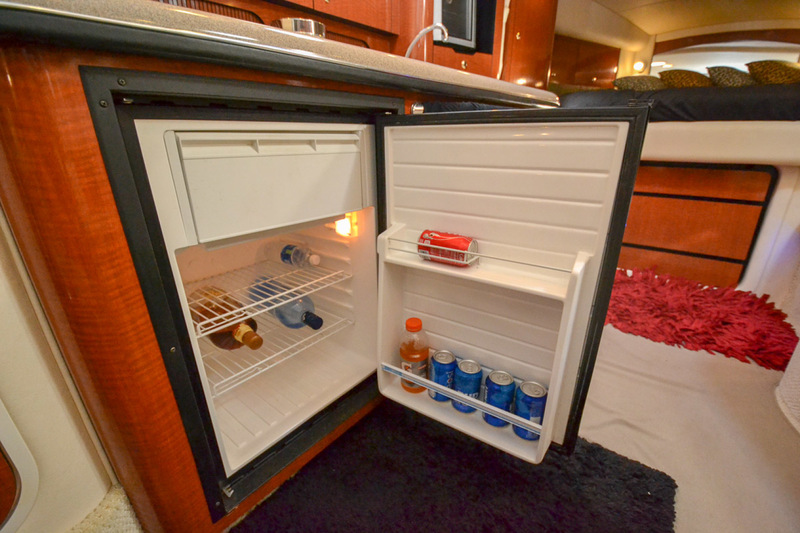 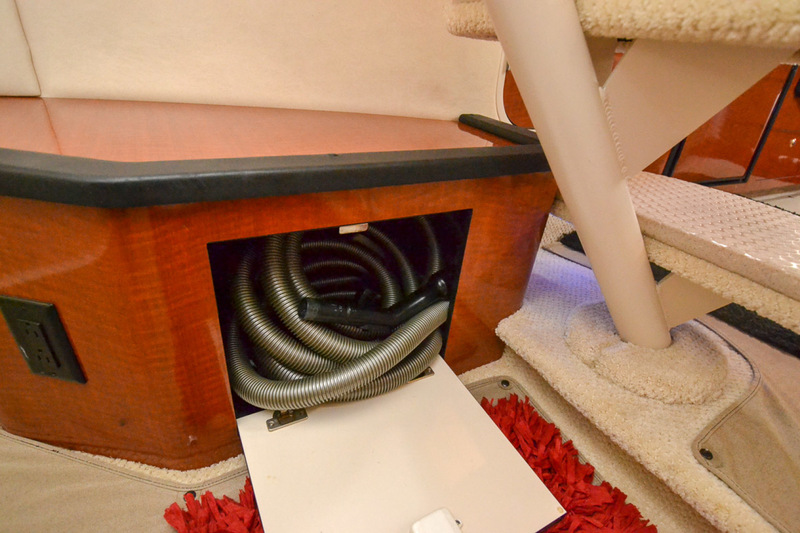 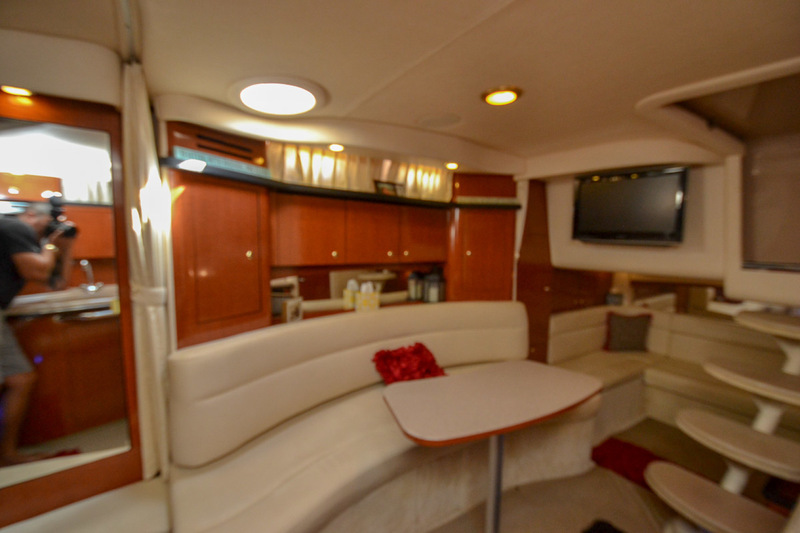 Relax in the tranquil cabin with ample natural lighting when shades are opened or relax in total darkness on the forward master berth, where you can view the 37 inch, wall mounted, high definition TV with DVD. 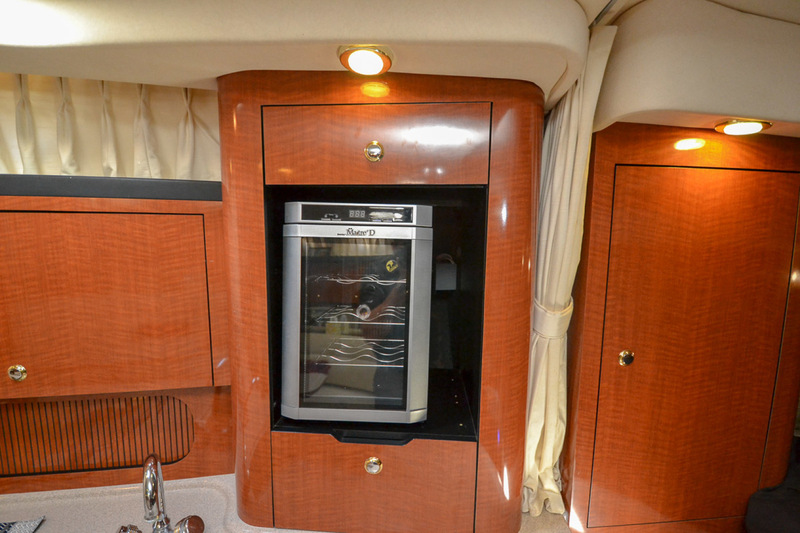 A built in wine chiller will keep all your entertainment flowing. 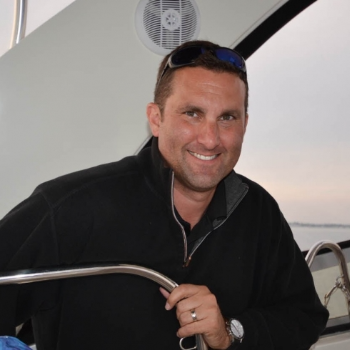 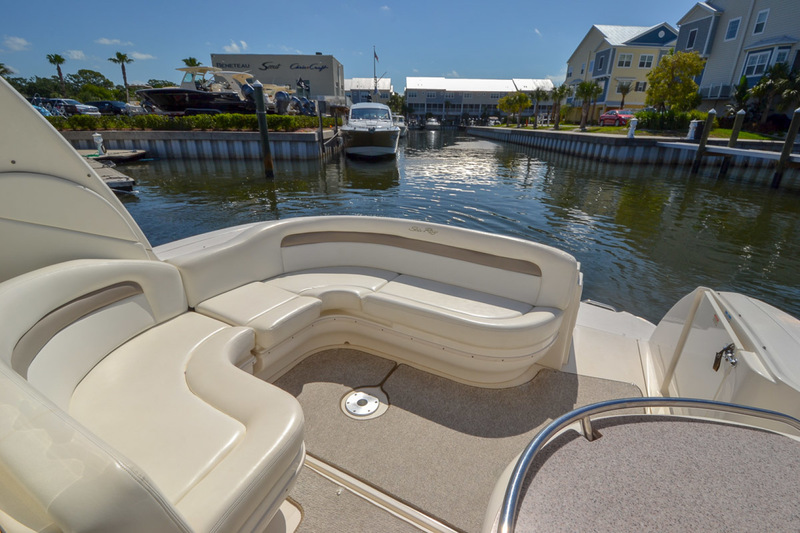 Review all of the recent updates and call us today to schedule you private showing in St Petersburg, FL. 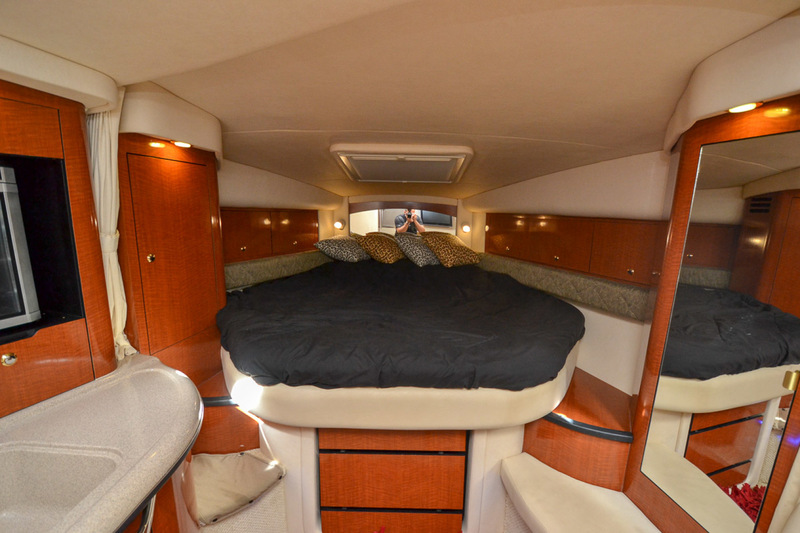 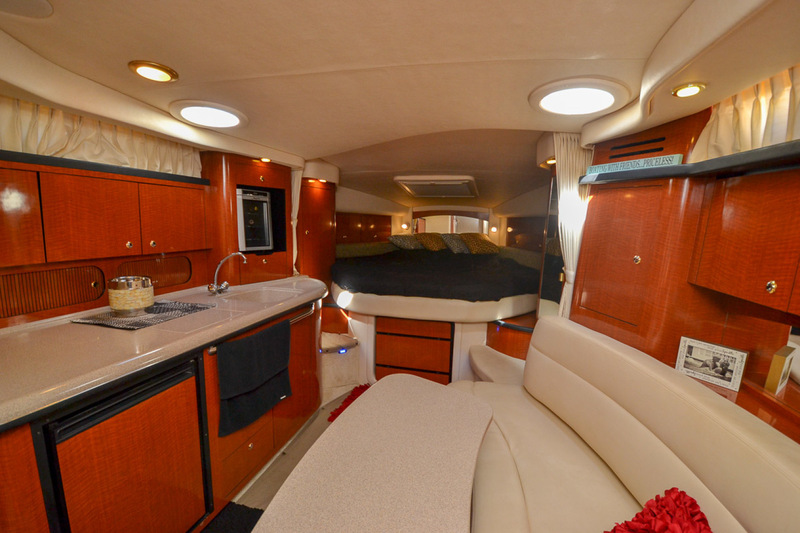 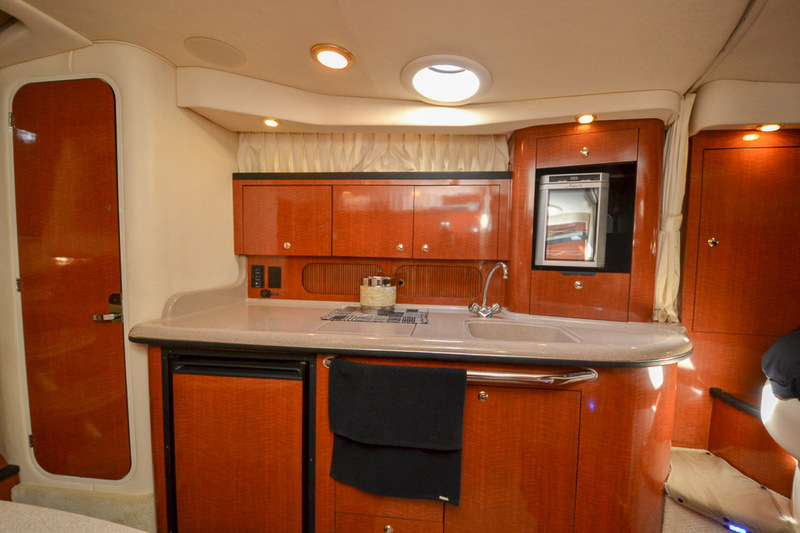 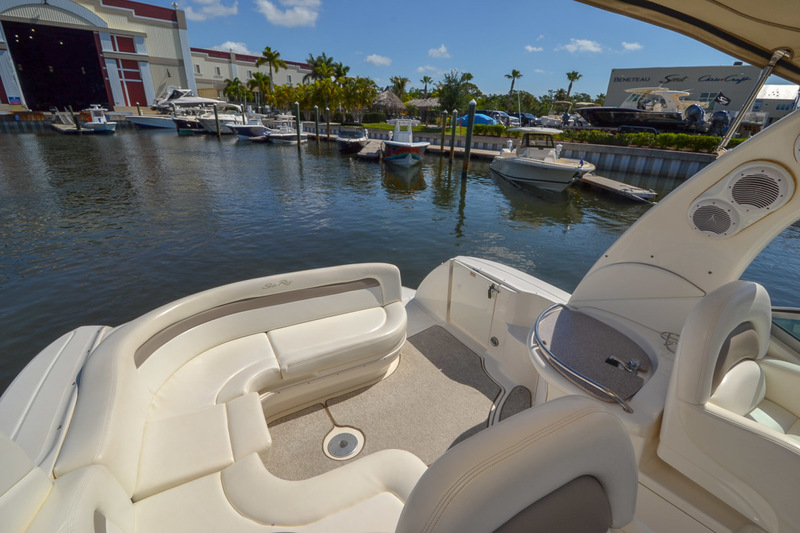 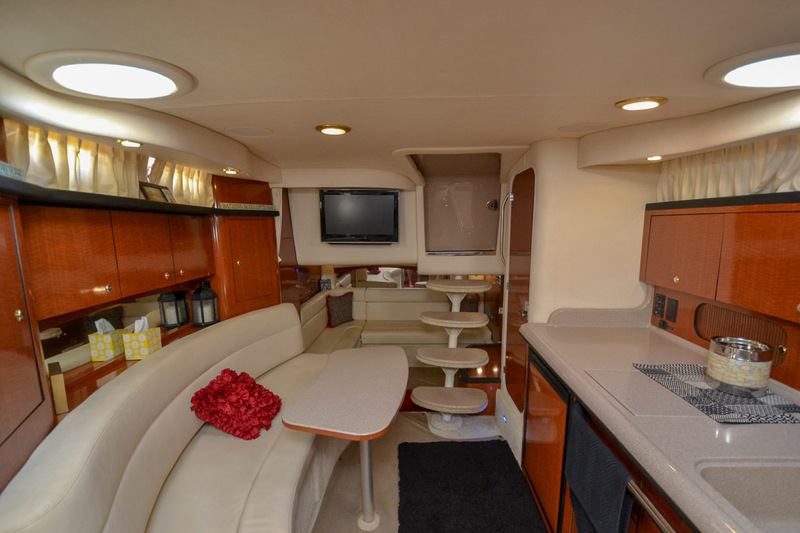 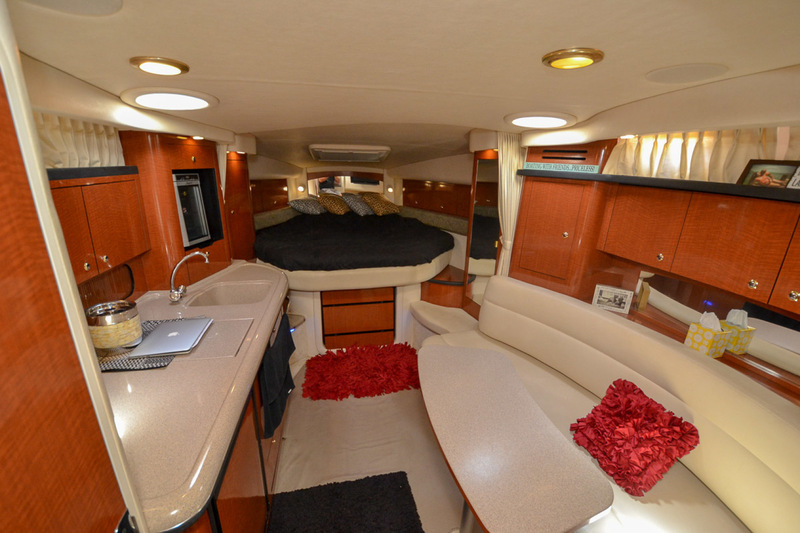 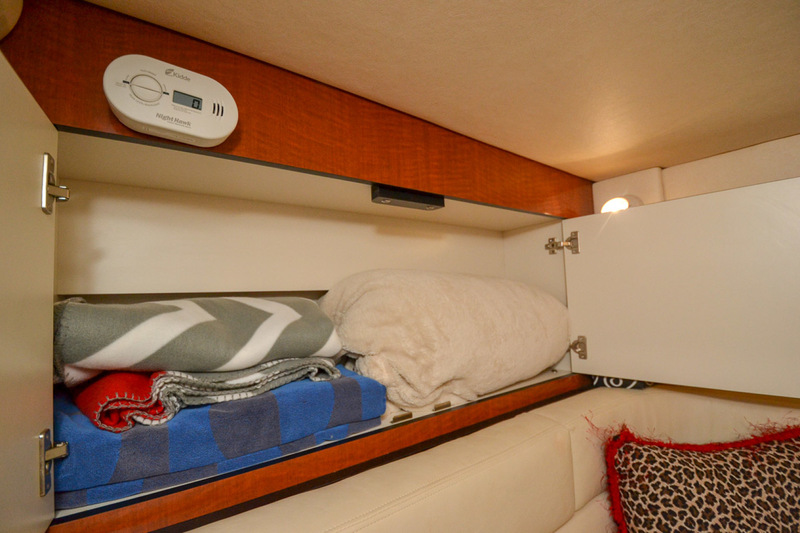 The sleek styling of the 340 Sundancer conceals an interior that seems remarkably spacious for a 34-foot boat. 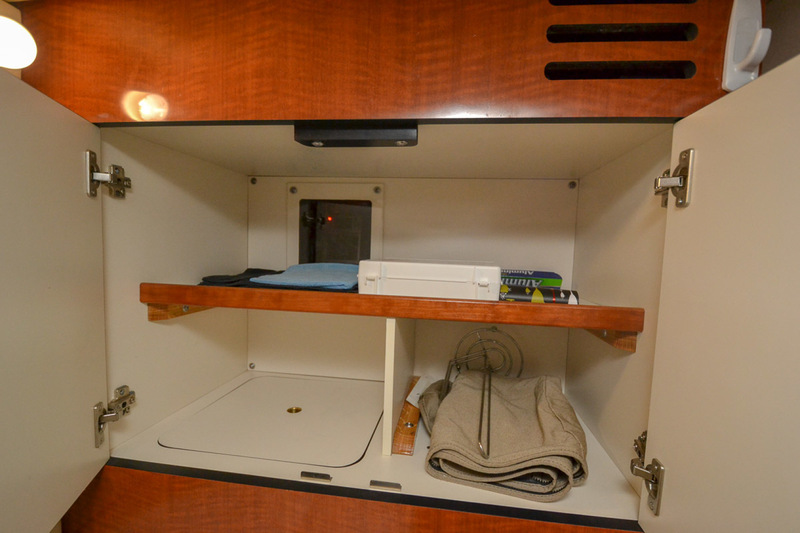 Solid surface counters and quality hardware are found in the galley, and privacy curtains separate the sleeping areas from the main cabin. 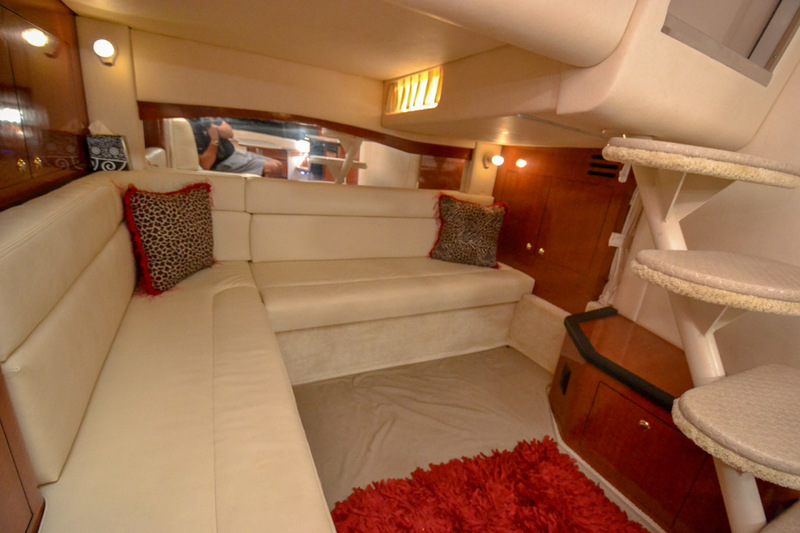 Semicircular lounge seating is aft in the cockpit, and an electric hatch lifts to reveal a rather compact engine compartment. 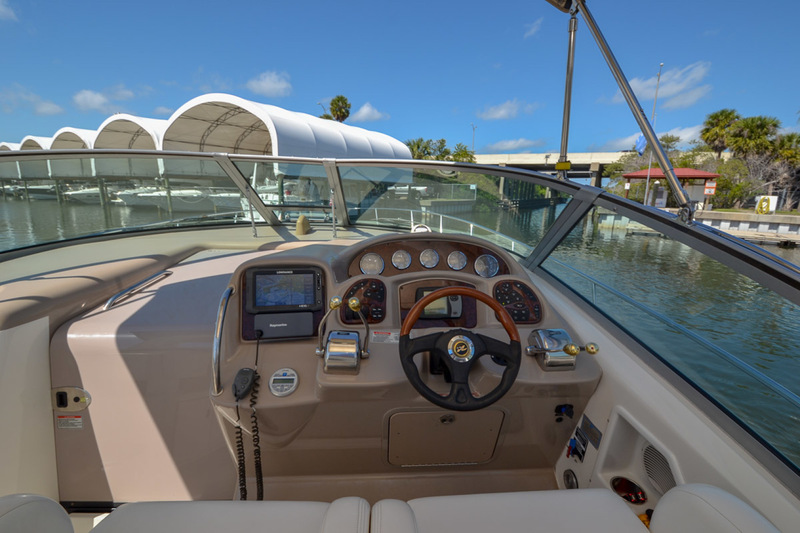 The helm is notable for its excellent design and good visibility. 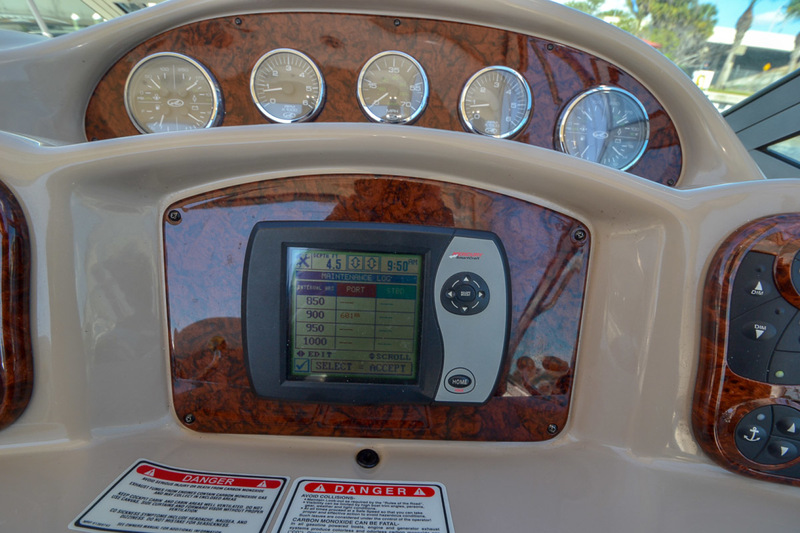 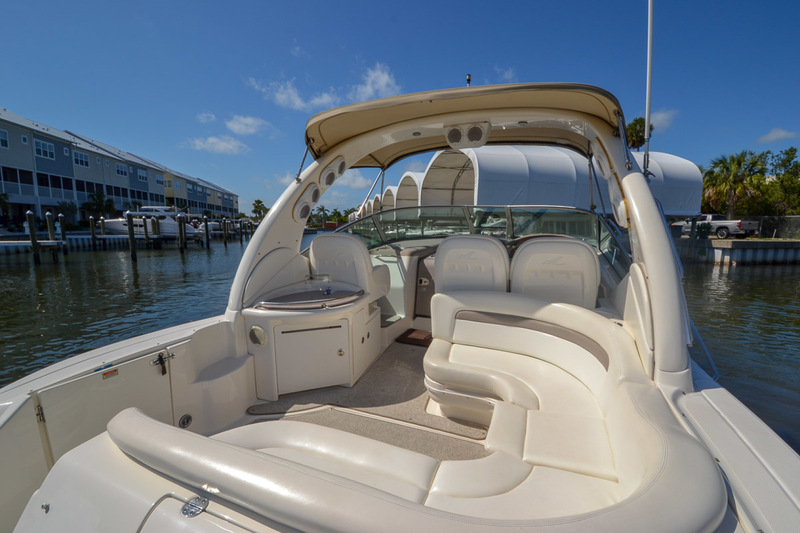 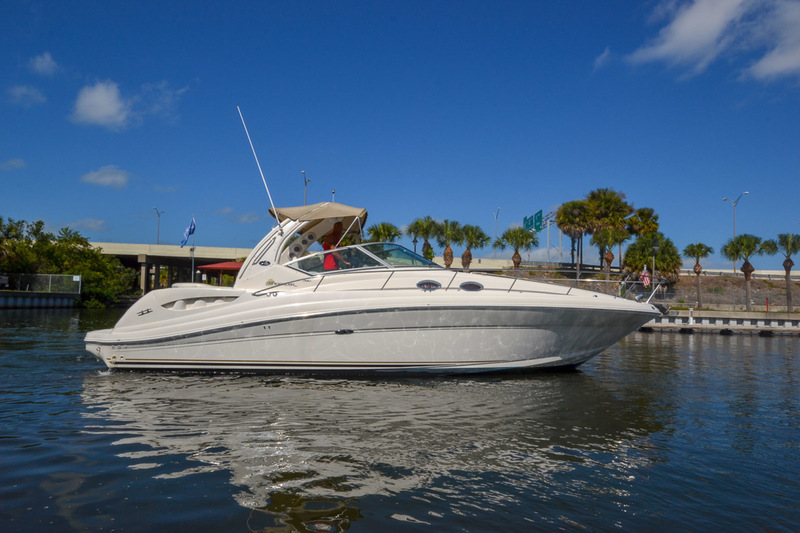 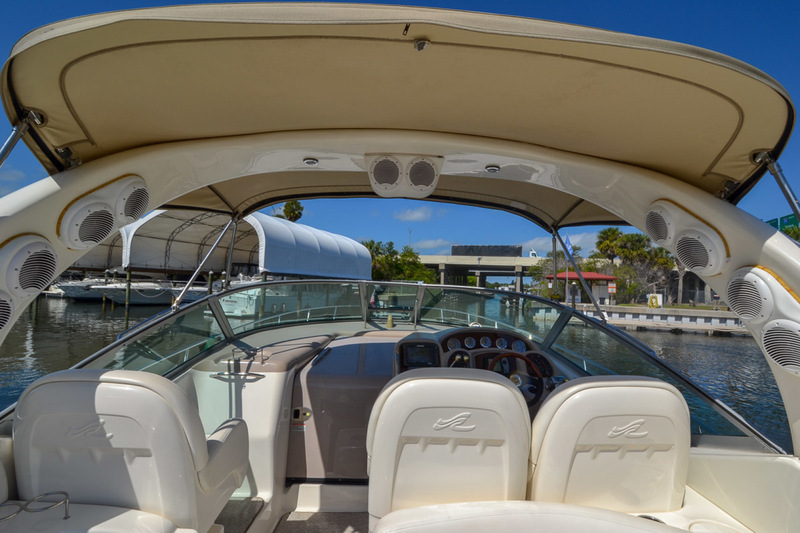 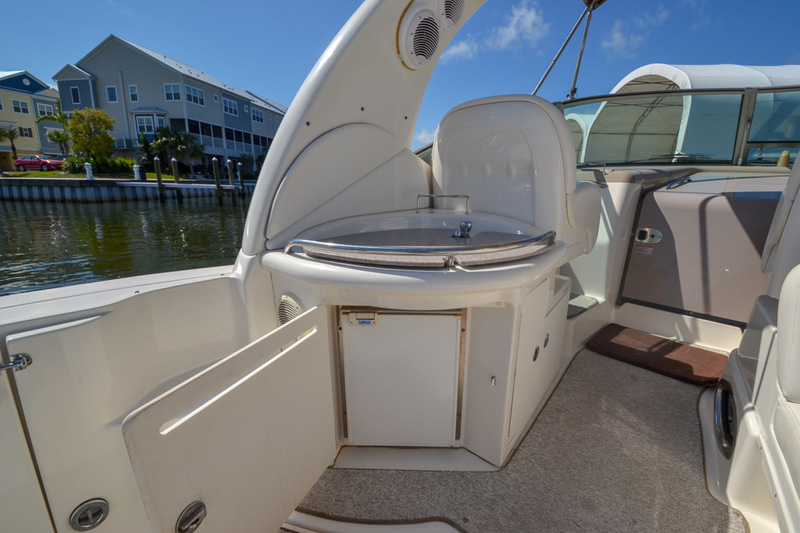 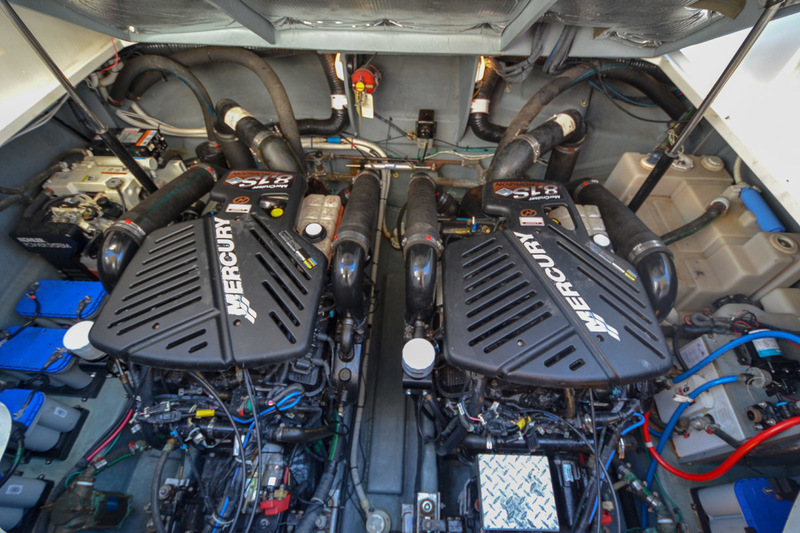 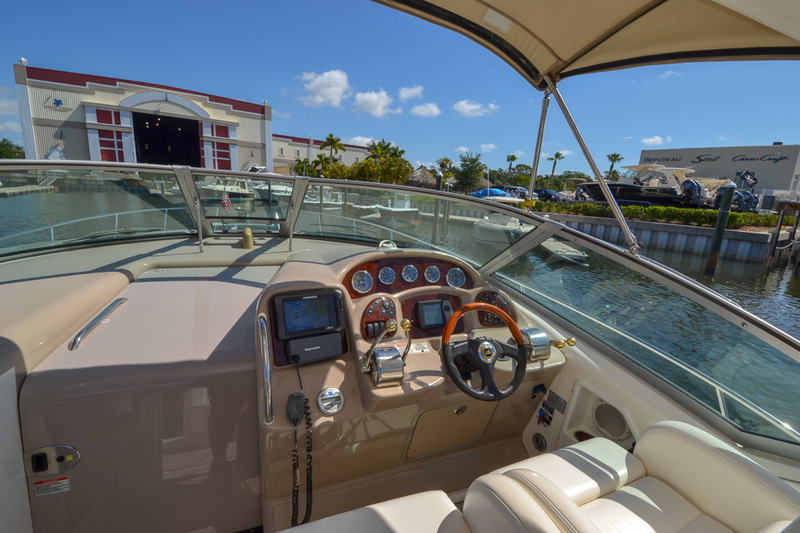 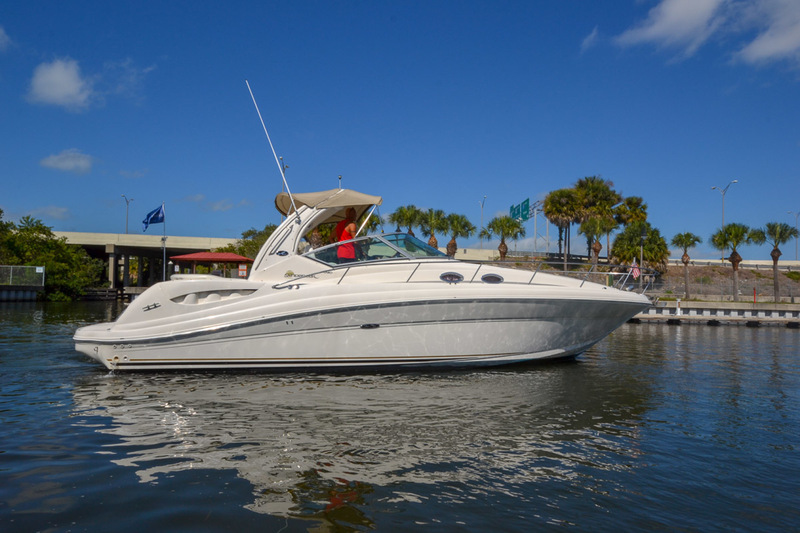 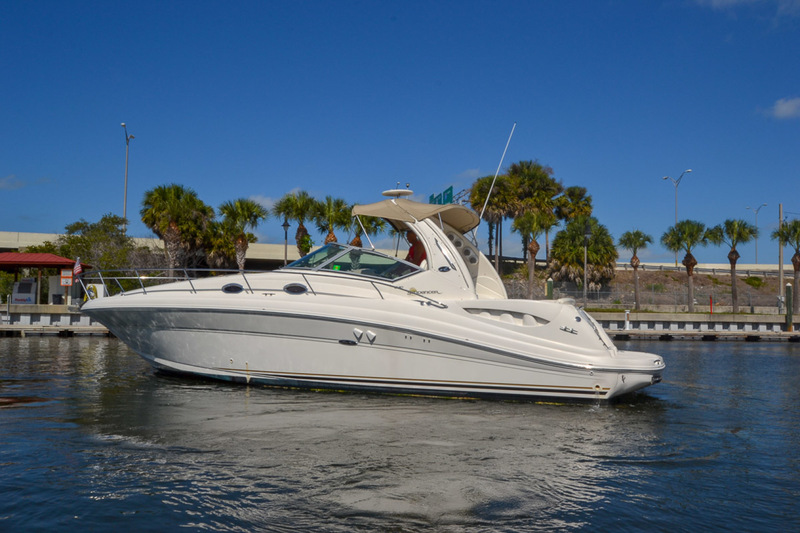 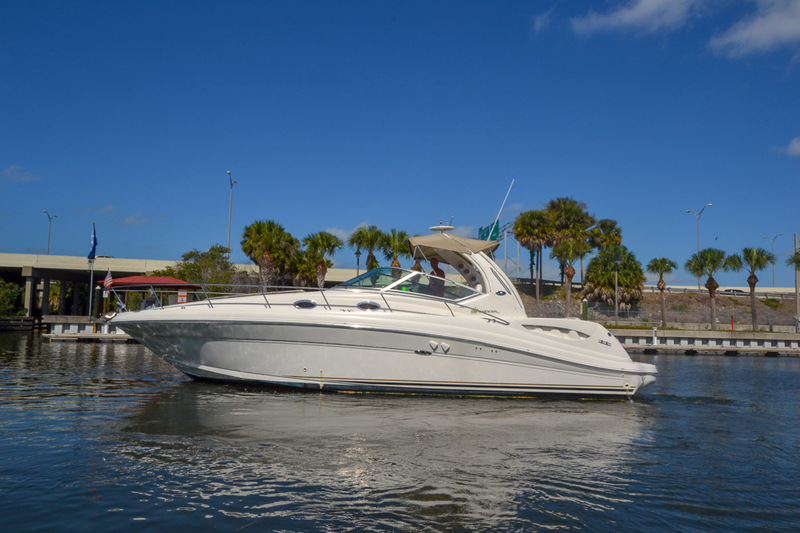 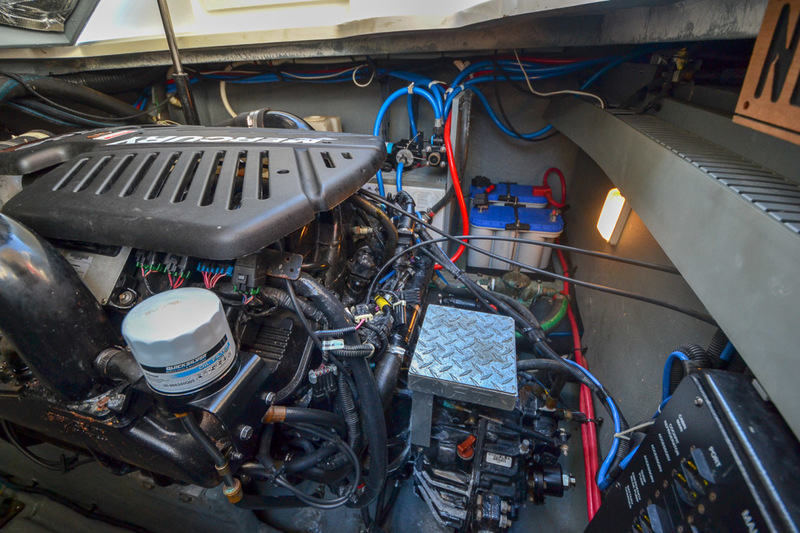 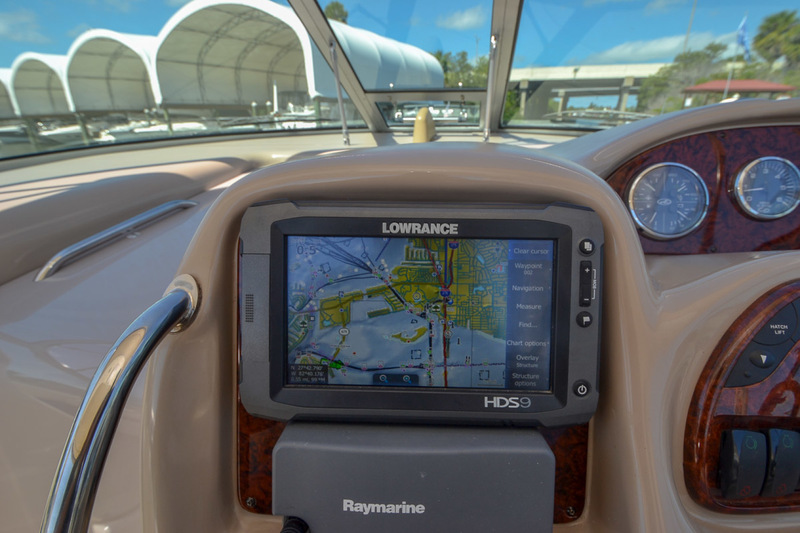 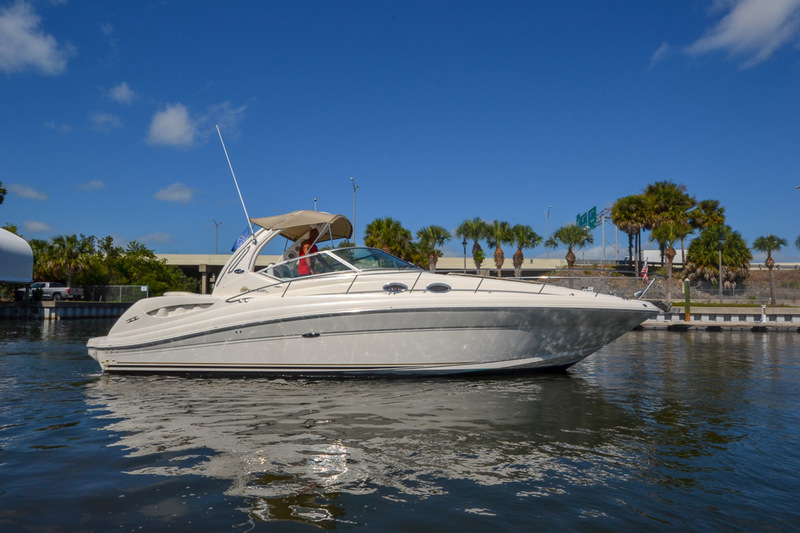 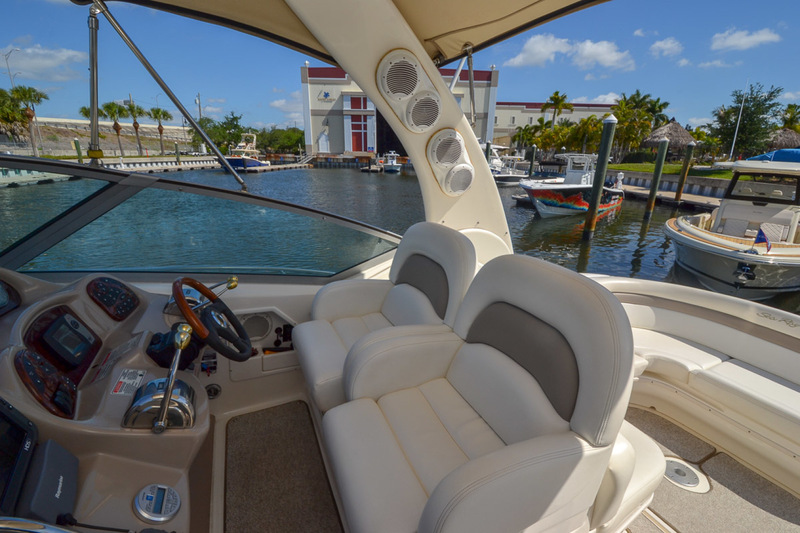 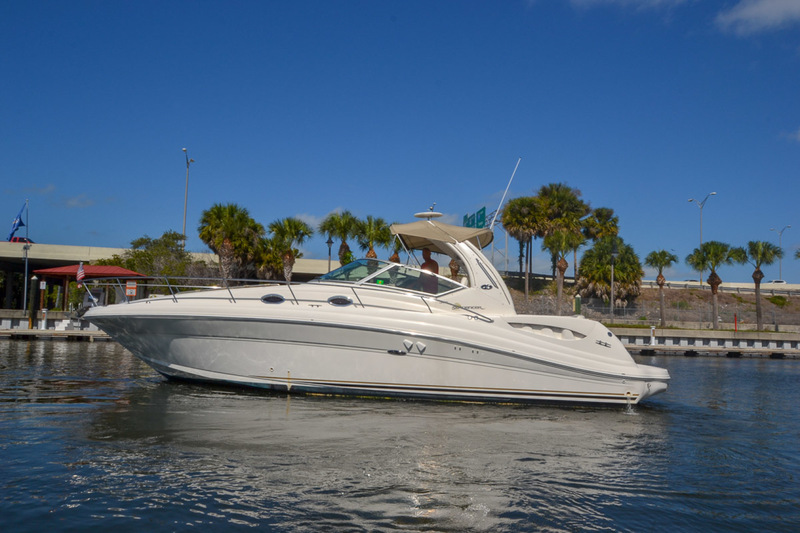 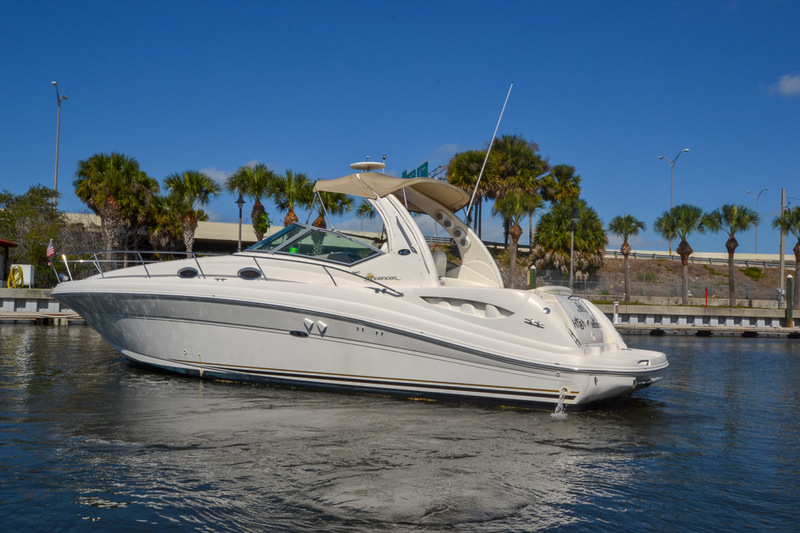 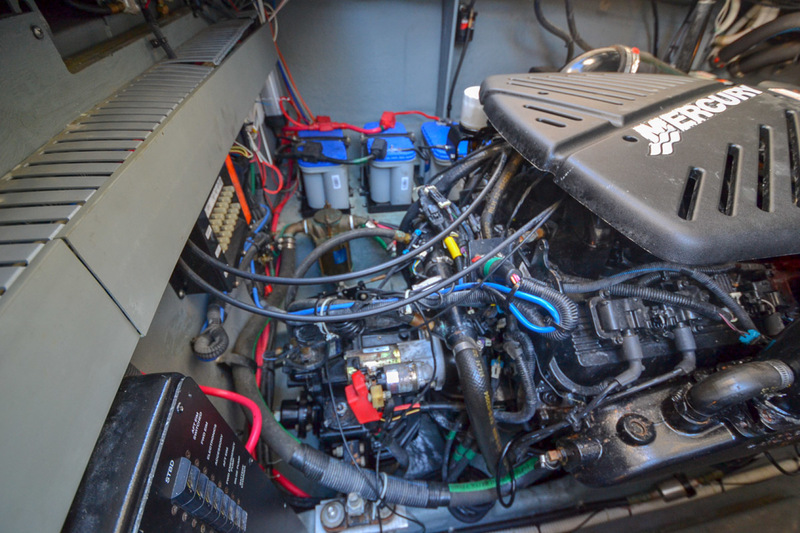 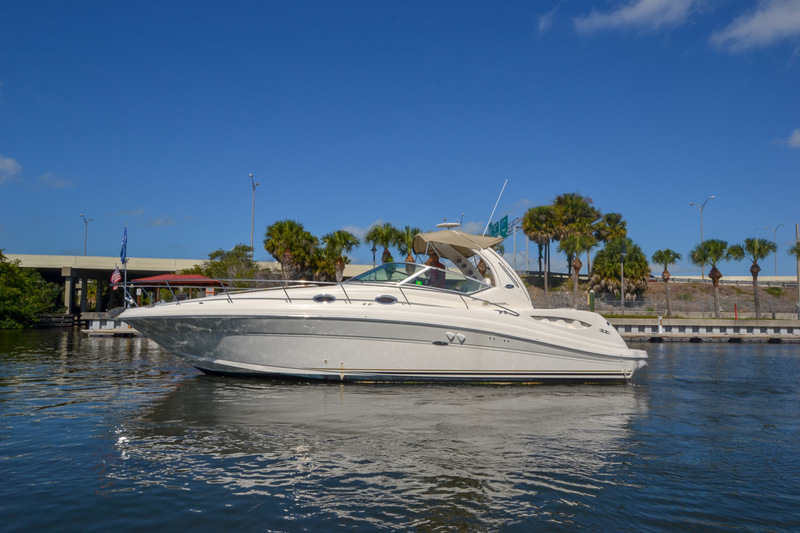 A premium express finished to very high standards, MerCruiser 370hp V-drive inboards cruise the Sea Ray 340 Sundancer at 23 knots and reach a top speed in the low 30s.